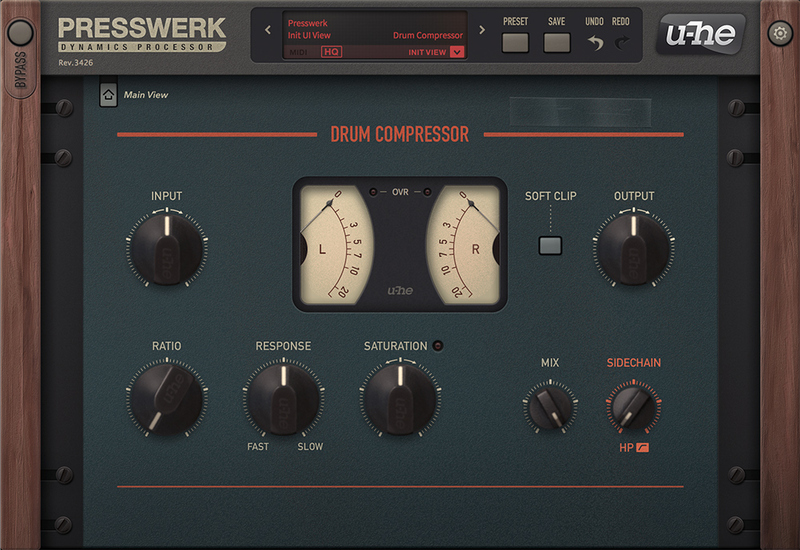 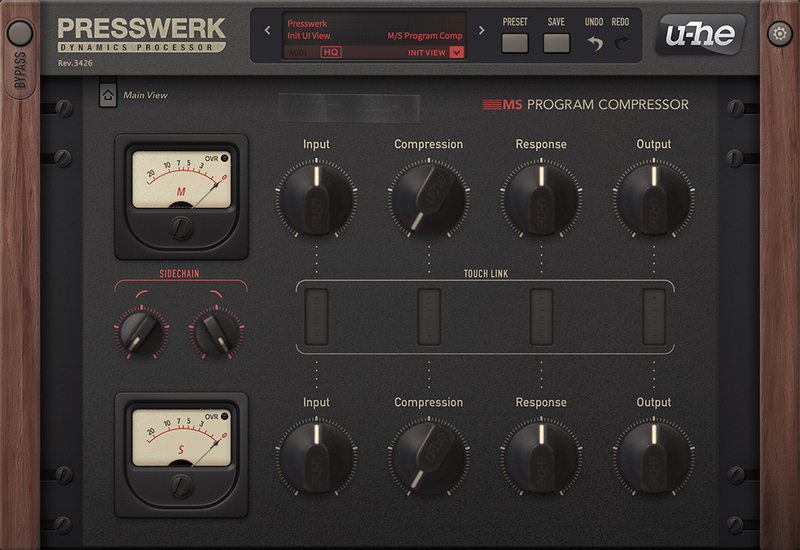 Drum Compressor: Lively and responsive, characterful and robust. 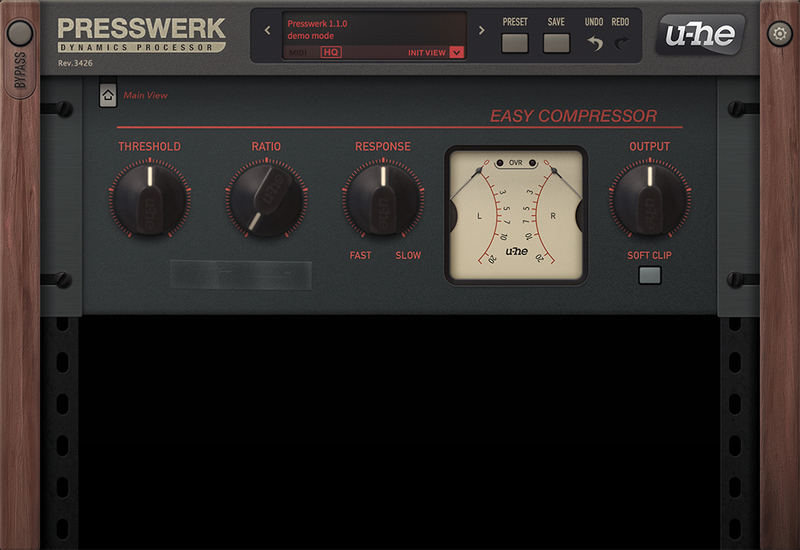 Add 'New York style' compression with ease. Vocal Compressor: Fewer controls and lots of automatic behaviour. 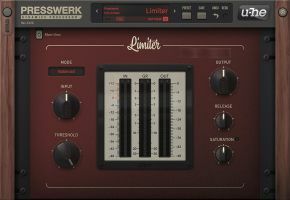 Comes with instant de-esser switch and an Enhancer for extra clarity and air. 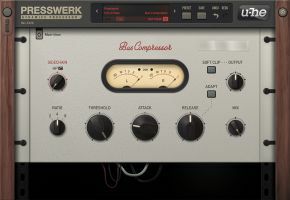 M/S Program Compressor: For independent manipulation of the mid- and side- portions of a stereo signal. 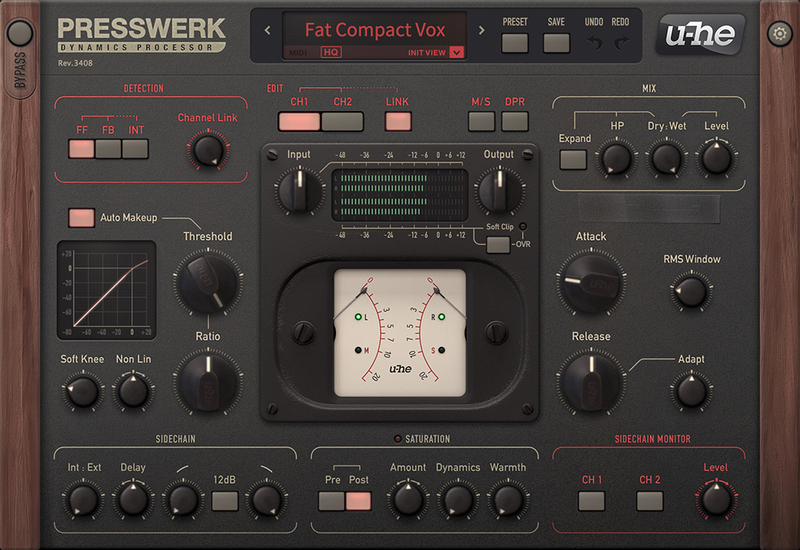 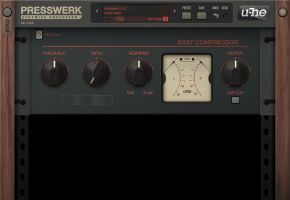 Easy Compressor: Suitable for any kind of material, a fast way to smooth out dynamic fluctuations and make your tracks instantly compact. 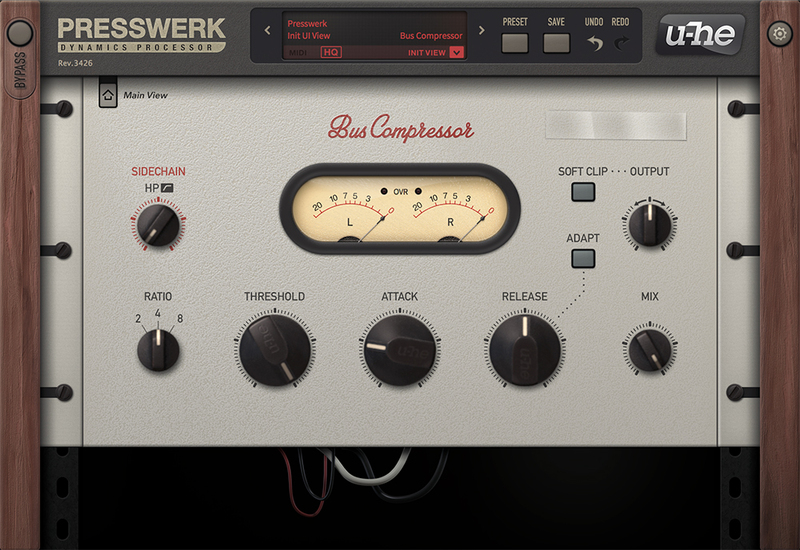 Bus Compressor: Caters for more complex audio material, instantly provides 'glue'. 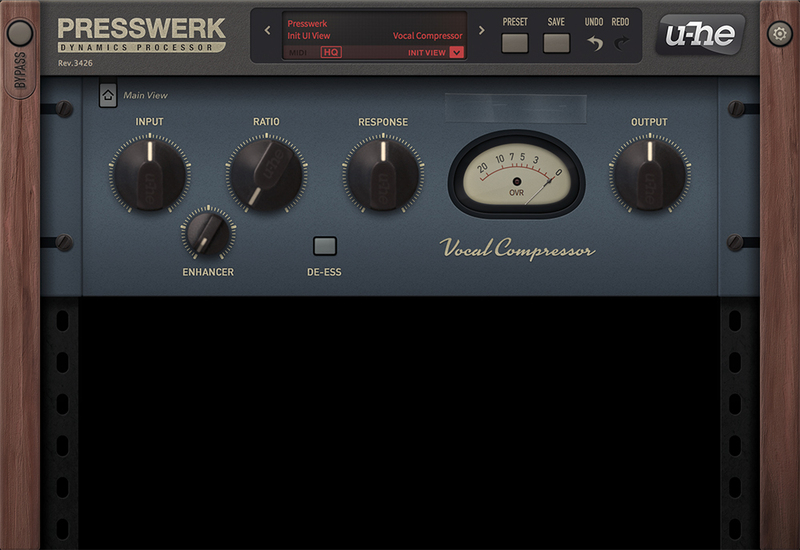 Transparent, optionally semi-automatic. 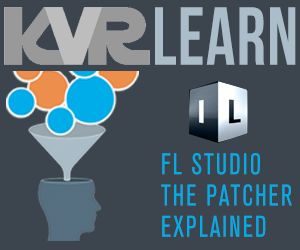 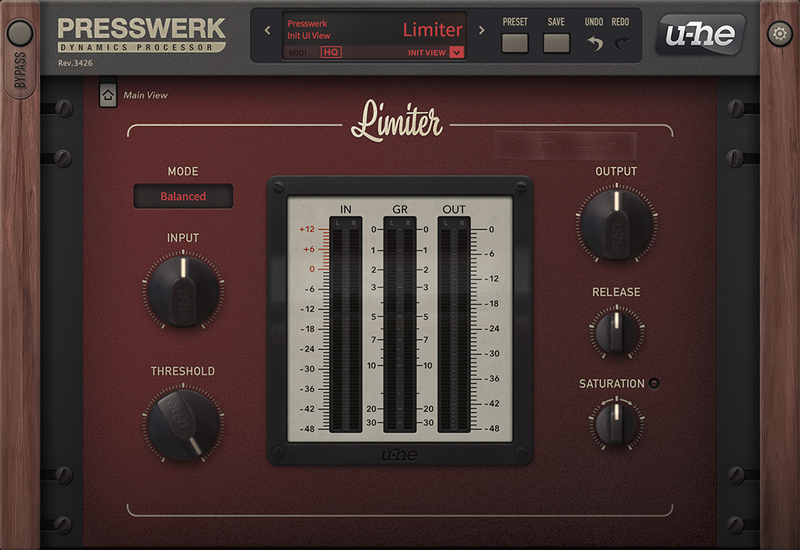 Limiter: Use the brickwall limiter view whenever you need to maximize levels with minimum artifacts. 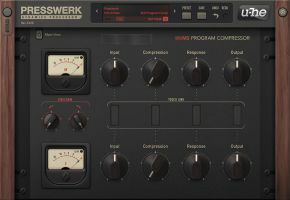 This update is free for current owners of Presswerk and is available for download at u-he.com.